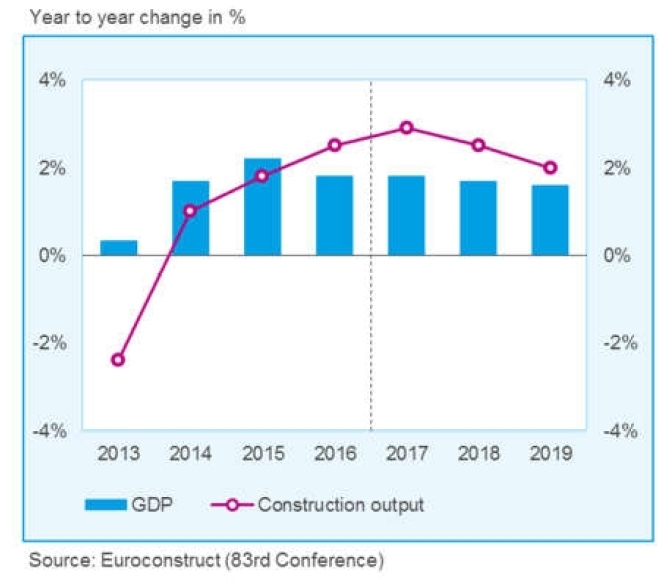 The recovery of the European economy has boosted growth in construction production. In 2016, construction output increased by 2.5 %, 0.5%-point stronger than expected half a year ago. 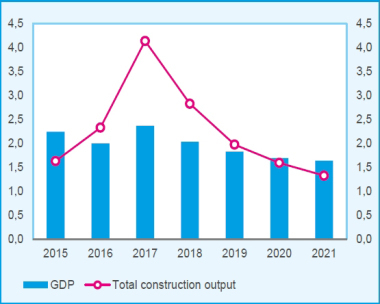 The volume of construction production is forecast to increase by 2.9 % this year and by 2.4 % in 2018, both above the previous projections made in Barcelona (+2.1 % in 2017 and +2.2 % in 2018). Thanks to the stronger economic upswing than expected half a year ago, considerable improvement in consumer confidence and the continuing loose monetary policy, construction demand is developing more strongly than expected, resulting in an increase in construction output by 8 % in the period 2016–2018, compared to the forecast of 6.5 % in Barcelona. Thereafter the upturn is expected to moderate in 2019 (+2 %), which is slightly below the Barcelona figure (+2.1 %). Residential construction increased by 5 % in 2016. In the coming years, this growth will become progressively weaker, with an increase by 3.7 % in 2017, 2.3 % in 2018 and just 1.7 % in 2019. The output in the sector is boosted by demographic trends, increase in household income and low mortgage rates. New residential construction increased by 8.8 % in 2016, and this year growth is also expected to be very strong (+6.8 %). A significant slowdown will take place in 2018 and 2019. Residential renovation and maintenance are growing steadily by about 1.5 % per year. It will be the first sector where the output will reach and exceed pre-crisis levels, which is projected to happen already this year. 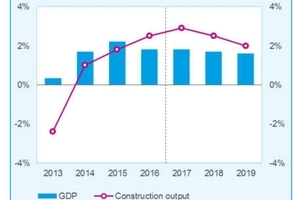 Non-residential construction is set to show modest growth in the coming years, by 2.3 % in 2017, 1.8 % in 2018 and 1.2 % in 2019. The recovery in new construction began only last year, later than in other sectors. After the initial growth of 2.5 % in 2016 and 2.8 % in 2017, the expansion will become much less dynamic (1.9 % in 2018 and 1.0 % in 2019). These growth rates are very modest given the extent of the losses during the crisis. Despite the positive impulse from the growth of consumer demand and relatively high corporate profits, expansion in this sector is hindered in many countries by conditions for external financing and by the financial situation of public authorities. The subsectors where public financing plays an important role – construction of educational and miscellaneous buildings – lag behind other sectors, with average growth rates in 2017–2019 of 1 % and 1.4 % respectively. 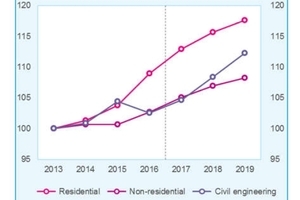 Interestingly, the highest growth rates in the coming years (3 % per annum on average) will also be reached in a sector with significant public involvement – construction of buildings for health systems. The subsectors of new construction where the financing mainly comes from private parties will increase in the coming years at remarkably similar rates of 2 % per annum on average. Renovation and maintenance are increasing by around 1.5 % each year. 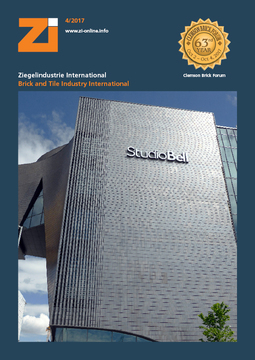 Hungarian construction is the stellar performer in the period 2017–2019, growing by 14.9 % per year on average. 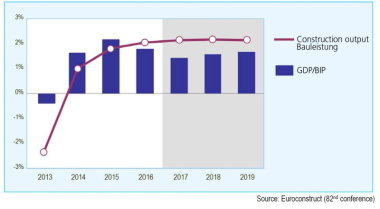 In Ireland, an expansion by 7.7 % on average in the coming three years will follow an even stronger growth by more than 10 % yearly in 2014–2016. Construction activity will also expand strongly in 2017–2019 in Poland (5.5 % on average), Czech Republic (4.3 %) and Portugal (4.1 %). 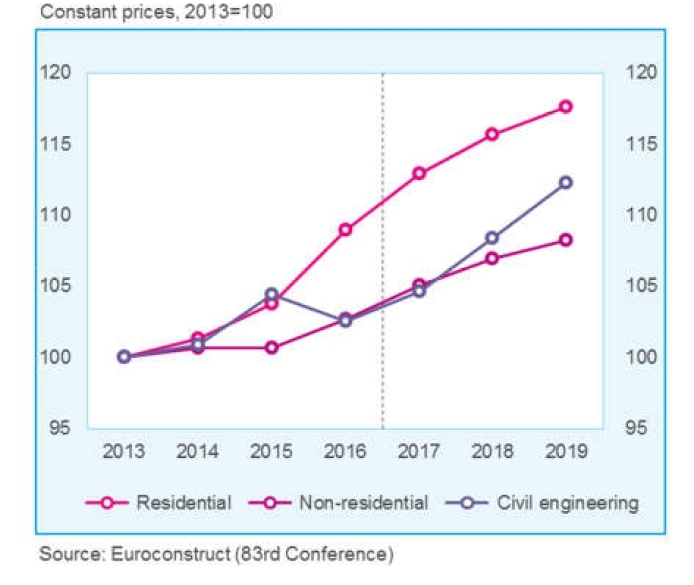 The strong growth in CEE countries follows a rather significant drop in 2016 and is driven by a new round of the EU structural fund in combination with strong demand for housing and, in Hungary, new government measures stimulating new residential construction. Ireland and Portugal are recovering from a very deep fall in construction output. Despite the strong increase, construction output in Ireland will in 2019 still lie 60 % under the pre-crisis level, and in Portugal 40 %. These figures indicate that in the aftermath of the financial crisis, growth rates as such do not necessarily give a correct impression of the health of an individual construction market. This health can better be judged based on a comparison of the current performance with the historic levels and the future growth prospects. From this perspective, three strong performers can be identified: Poland, Norway and Sweden. The construction output in these countries in 2016 was around 20 % above the pre-crisis level, and it will increase strongly in the coming years (5.5 % on average in Poland, 3.9 % in Norway and 3.5 % in Sweden). The other countries with output above or close to the pre-crisis level are showing average growth rates of 2 % at most, while all countries that still have catching up to do are expanding by more than 2 % per year, although none of them will reach the pre-crisis level in the coming three years.